This is one of my first Essence polishes (my aim would be to swatch all polishes I own, included the oldies and the "why did I bought it?" 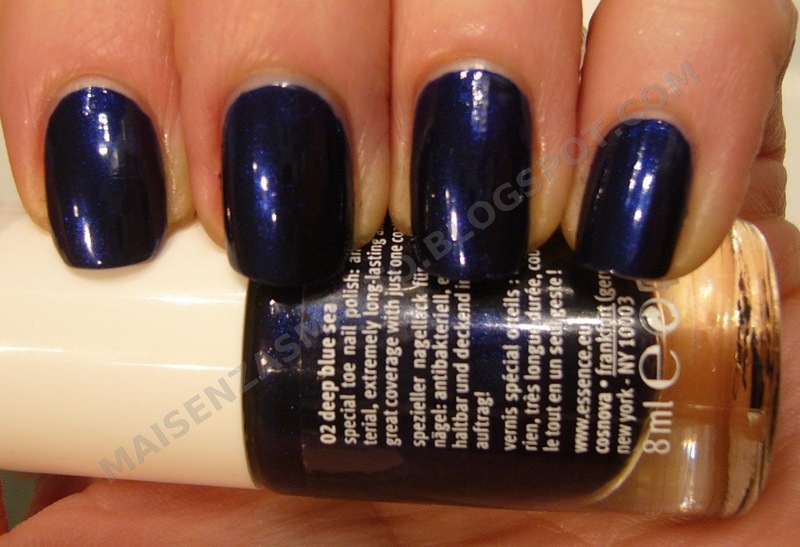 ones, be prepared to see anything), a navy blue shimmer, really easy to apply and opaque in two coats (maybe a thick one could be enough, too). Quite shiny even without top coat. Uno smalto che dovevo swatchare da una vita (uno dei primi Essence che ho comprato): vorrei fare un post per ogni smalto che ho, compresi quelli vecchi (e purtroppo nel 2002 in un momento di sclero ne ho buttati tantissimi) e quelli che ho comprato "chissàperchè" (tipo questo) quindi preparatevi a vedere di tutto. Questo è un blu scuro shimmer ben pigmentato (due mani nelle mie foto, però una super densa potrebbe bastare) che si stende molto bene. 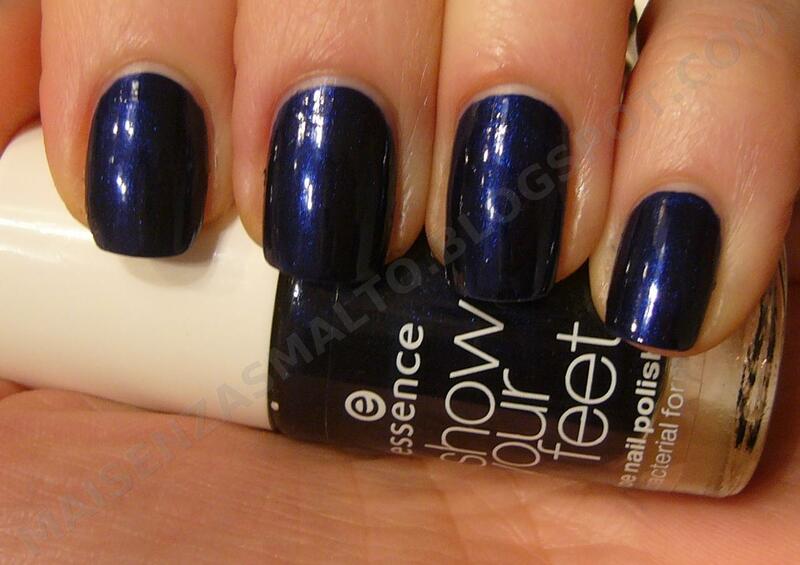 Abbastanza lucido anche senza top coat.